Early in the morning, shuttle buses discharged a steady stream of people, arriving from all directions to receive teachings from the Gyalwang Karmapa at his North American seat. By 10 am, an estimated 800 people were joyfully awaiting His Holiness’ arrival under a vast white tent that filled the space between KTD’s shrine hall and its residential wing. During this historic second visit to KTD, His Holiness began by expressing his delight at being able to visit and meet with the larger KTD community once again. 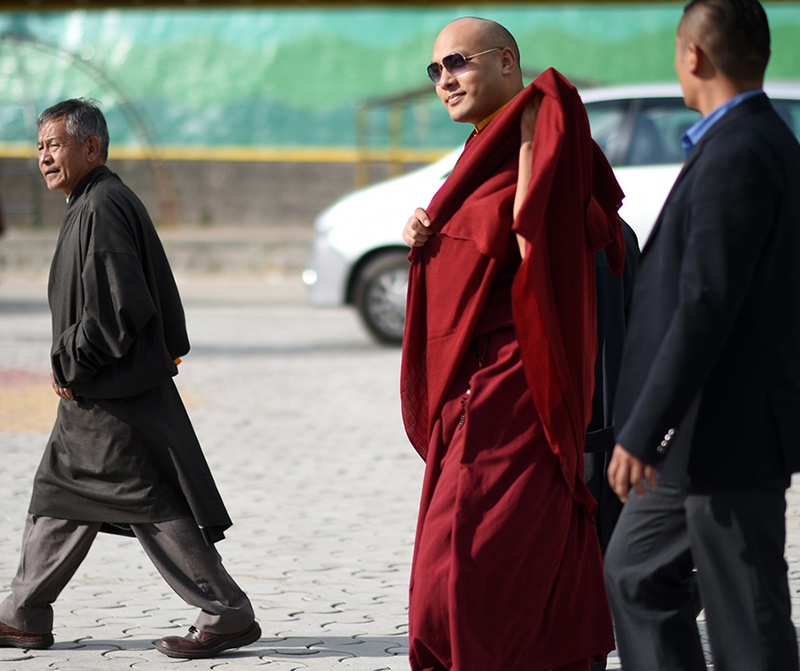 He noted the tremendous progress that had been made in recent years towards fulfilling the vast vision that His Holiness the Sixteenth Karmapa had had in founding the monastic seat. 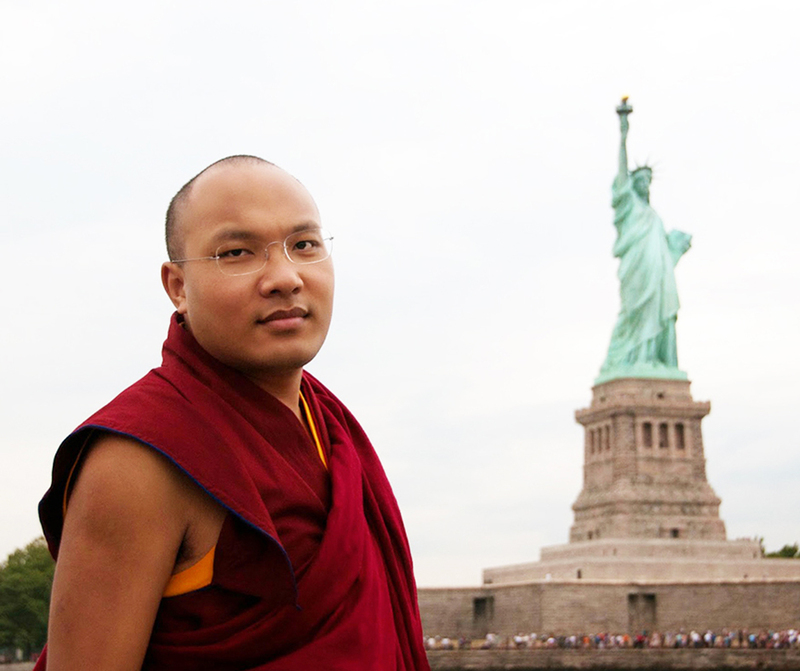 Since he bears the name of the 17th Karmapa, His Holiness said he would like to offer his heartfelt thanks and rejoice in the efforts of all involved. The Gyalwang Karmapa cautioned that he had made no preparations for the teachings, but would simply draw on his own experience and share whatever thoughts might come to his mind. His Holiness began by noting that Americans enjoy freedom to choose from a wide range of religions, and are also free to choose not to adopt any religion at all. After distinguishing between spirituality and religion, His Holiness went on to comment that whichever choice of path one makes, the foundation is the same: to know ourselves, beginning from a basic recognition of the value of the human life that we each have. For the remainder of the day’s teachings, His Holiness built on that foundation, exploring such topics as ways to counteract anger, the importance of eradicating aggression from our minds and not just suppressing it in our outer actions, and our mistaken tendency to identify ourselves with our material possessions. The tent filled with frequent laughter throughout the day. At one point, His Holiness noted that even our electronic devices reflect our egotistic fixation on ‘I’ and ‘mine’-with Apple offering us iphones and ipads, and Microsoft jumping in with its My Documents and My Computer icons. 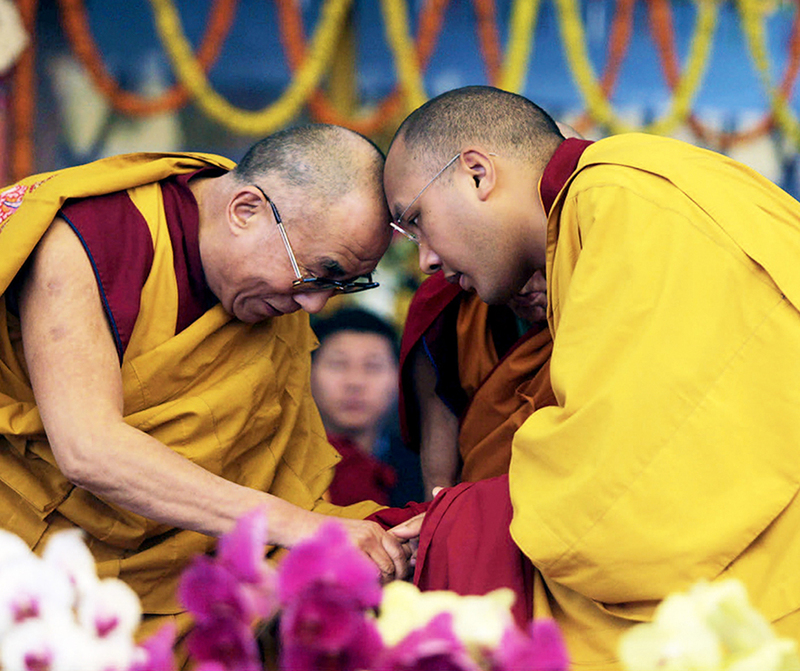 The Gyalwang Karmapa also joked with the translator, Lama Yeshe Gyamtso, at times resorting to the use of his fingers to make sure his points came through clearly. With the joy and the laughter of the day came rain. The auspicious rains were followed by a sudden wind that swept through the tent, sending ripples along the white canvas–lest anyone forget just how extraordinary an event it was for His Holiness to turn the wheel of Dharma again at KTD. 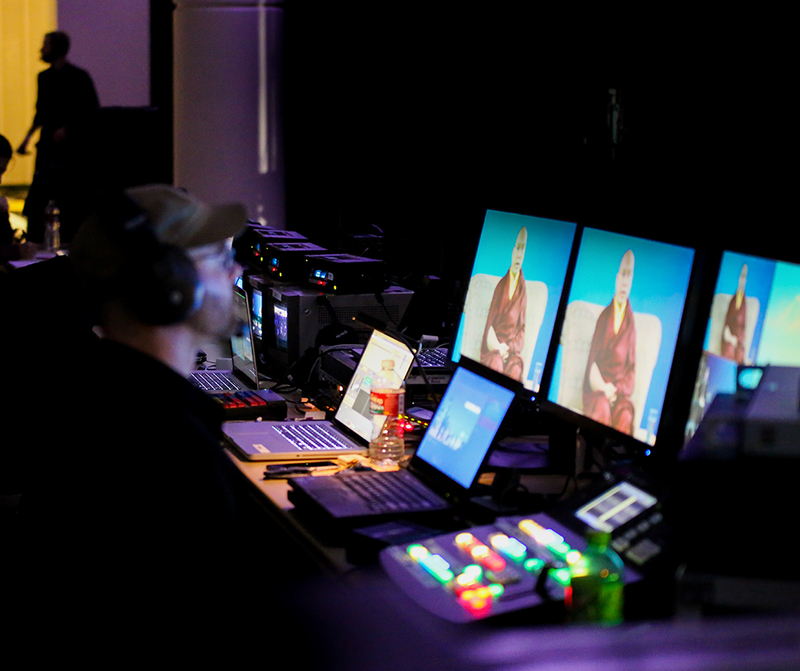 The morning and afternoon sessions were both transmitted live via Internet, with translation in English, Chinese and Spanish. Those watching online more than doubled the number of people who were able to receive His Holiness the Karmapa’s teachings.